Mother Nature’s Wrath: Could a Devastating Hurricane Season Wreak Havoc on Natural Gas Markets? Watching the recent news coverage of the devastating tornadoes and their unusual size and ferocity, I couldn’t help but wonder about the 2011 hurricane season. Is it possible that this year’s hurricanes could also be larger and more destructive than we’ve seen in recent years? If so, in addition to the human toll, what might that mean for offshore gas production? With the abundance of shale gas keeping natural gas prices in the $4.50 range, does a severe hurricane in the Gulf Coast mean higher prices? Certainly it could in the short term. If such a catastrophe were to happen before, or near, the end of the normal injection season, what then? In 2005, hurricanes Katrina and Rita came to call, delivering a devastating one-two punch. The Minerals Management Service (MMS) estimated that 3,050 of the Gulf’s 4,000 platforms and 22,000 of the 33,000 miles of Gulf pipelines were in the direct path of either Hurricane Katrina or Hurricane Rita. In addition, 47 major natural gas processing plants and 17 natural gas liquids fractionation sites located within the 70 counties and parishes along the Gulf Coast of Texas, Louisiana, Mississippi, and Alabama were threatened by the storms’ approach. In its final shut-in statistics report on June 21, 2006, MMS estimated that about 9.4% of daily gas production remained shut in as of June 19, 2006. Cumulative shut-in gas production from August 26, 2005, through June 19, 2006, was 803.6 Bcf, which is equivalent to about 22% of yearly gas production in the Federal OCS in the Gulf. In 2008, hurricanes Gustav and Ike struck the Gulf Coast with similar results. 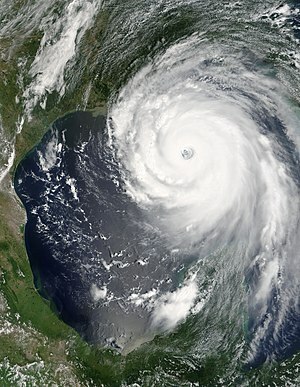 So, is it good news or bad news for the 2011 hurricane season? According to meteorologists, 2011 is mirroring the climactic conditions of 2008. In his 2011 Hurricane Season briefing, President Obama was told that there is a 70% chance of three to six major hurricanes between now and the end of November. Colorado State University meteorologists Philip J. Klotzbach and William M. Gray, conclude that “Overall, conditions remain conducive for a very active hurricane season.” And as I write this, the first low pressure system of the season is forming in the Caribbean. So, it appears that we could have an active hurricane season. If indeed that occurs, whether the hurricanes impact Gulf production depends on a number of factors including the strength of the hurricanes and whether they track over production areas or move in a different direction. Natural gas futures prices for the summer and fall months have trended upward recently and one factor is likely the strong hurricane forecast. But the big unknown is whether the abundance of shale gas will provide supply that can quickly come on line to replace any lost Gulf production. If so, any storm-induced price spikes may be short in nature, and once it became clear to the market that replacement gas was available, prices could quickly fall back into the $4 range. This entry was posted in Natural Gas and tagged Energy Education, Energy Training, Natural Gas Futures, Natural Gas Markets, Natural Gas Prices, Natural gas supply. Bookmark the permalink.